The biggest selection of costumes in the world! There is nothing more gangster than violins. Or, at least in the 1950s there was an attitude of cool rebel in the musicians who played at jazz joints. We know the violin can be an extremely difficult instrument to learn. So, we won't make you practice it every night, or at all. That takes time and patience, and with Halloween around the corner you don't have either. 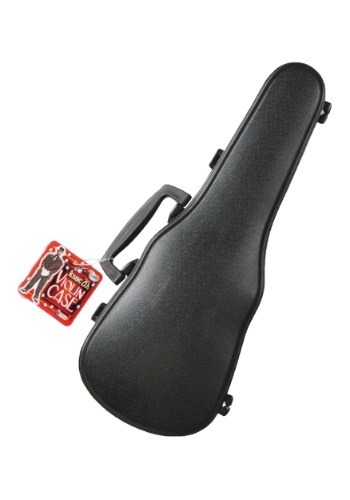 You can just look cool with the Gangster Violin Case! The Gangster Violin Case is a perfect accessory for your costume, or just to carry your lunch. The molded plastic case measures 14 inches long, by 5 inches wide, by 3 inches deep. The case is hinged and snaps shut, it also has a sweet hinged handle for you to carry it with.